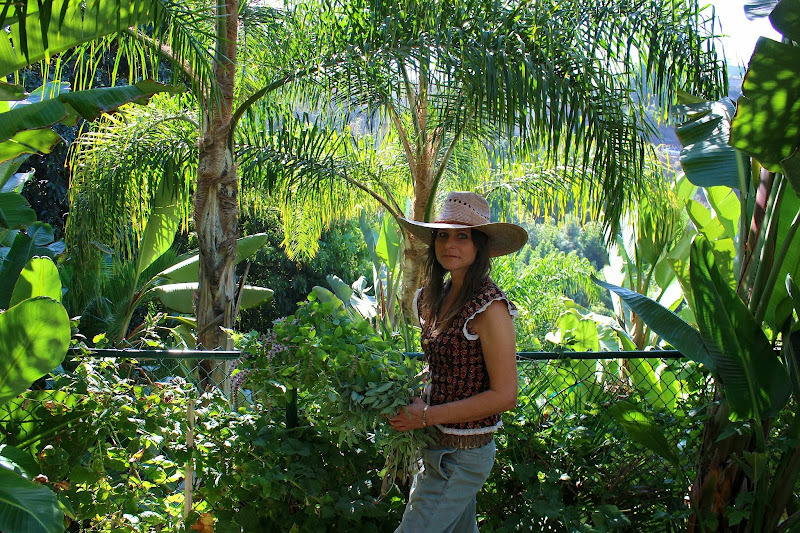 Lauri Kranz has been called the vegetable garden whisperer of Los Angeles, and that's wholly accurate as she's built a successful business from consulting on, tending to, and harvesting home vegetable gardens. I drove up into the hills to meet her yesterday with one of those head colds that make you feel like you're underwater. I almost cancelled, but I didn't want to put her out. She had me hike up to a vegetable garden she built for a client (it looked a lot like an East Coast paddle tennis court) and when we got to the top I felt like I was about to collapse and feeling so low energy that thought I should have stayed home. 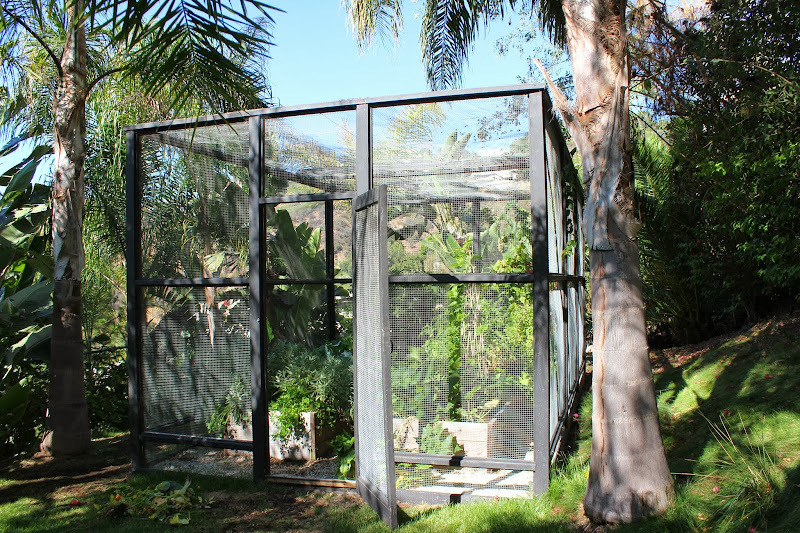 Then I crossed the threshold into the caged garden and watched her pick and prune—the scent of the tomato vines, the basil, and the sage instantly changed my outlook on the day. Then she started feeding me green beans, fennel, and dandelion leaves. "These will help with your cold," she told me. I wasn't instantly cured, but I felt better and happier just being in one of her incredible gardens. 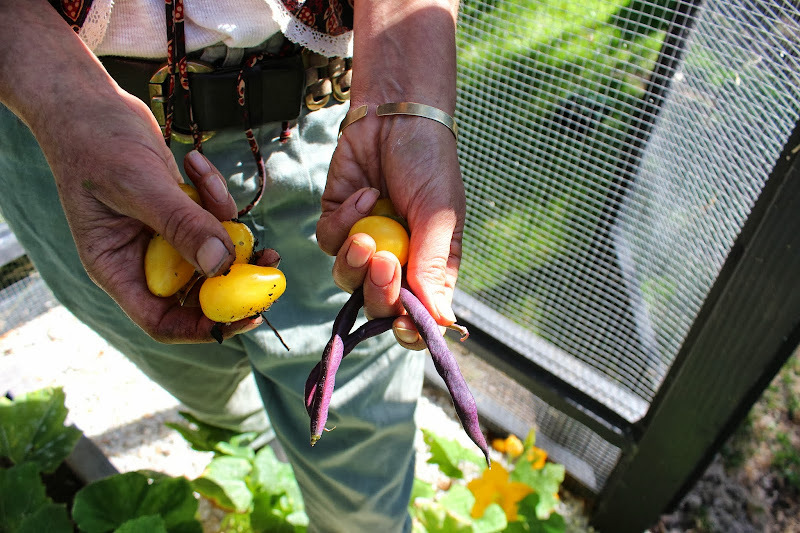 Kranz started Edible Gardens LA after planting vegetable gardens in her son's school (which she still does) and grew the business from there. 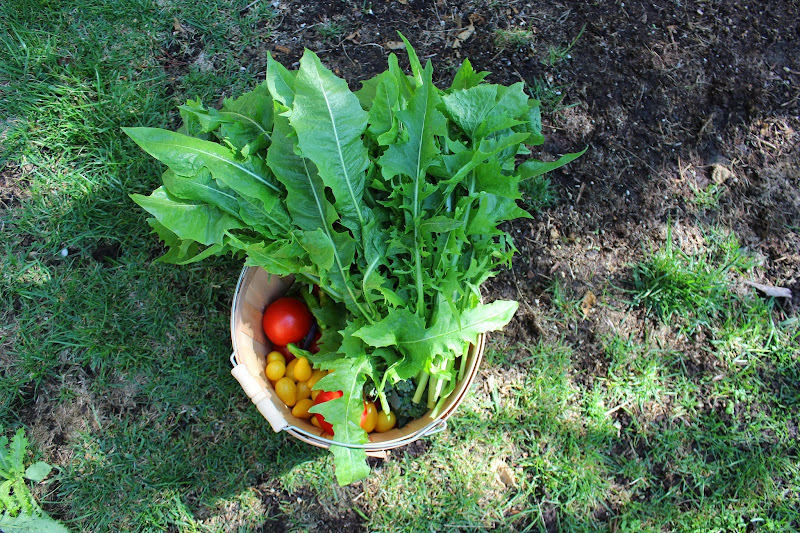 She tends fabulous gardens for Suzanne Goin and The L.A. County Museum of Art, but also does one hour consultations (for the average joe) where she'll tell you everything you need to get going with your home vegetable garden including where to plant what when and with what. What's cooler than Kranz's permanently soil-stained hands (how tomboy is that!?) 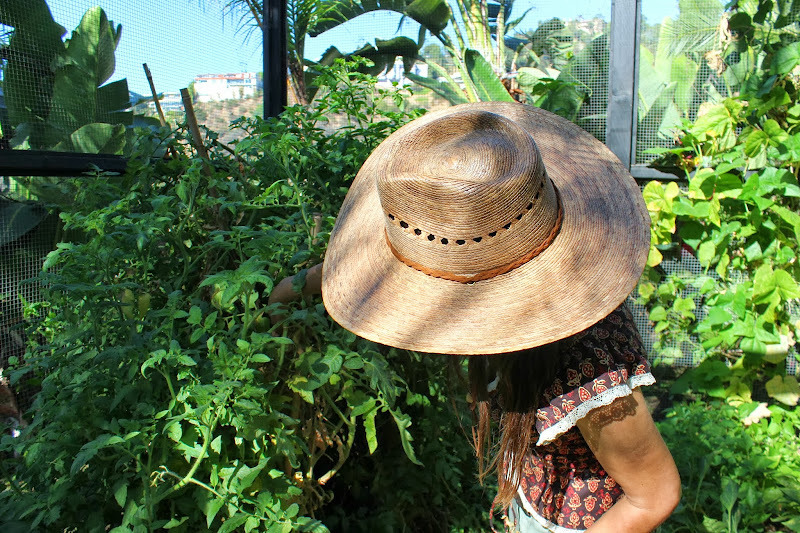 is her collaborations which include her signature hand-woven palm leaf gardening hats ($125) and Joe's Jeans Japanese denim aprons ($98), all available online at the Edible Gardens LA Market. This week's bounty. And thanks for the intro, Naomi. I could have used a consult from such a sage. My cucs were fairly dismal. but my zinnias! You're so pretty and gorgeous!~ I hope that maybe we could follow each other on Bloglovin and/or GFC, Facebook?